Leading the way in high-end waterproof and breathable apparel, Canadian brand Stormtech is world-renowned for developing revolutionary technical and performance outerwear that is both highly functional and fashionable. Stormtech are experts in waterproof, breathable and ultra-soft jackets. Designed with comfort and warmth in mind, Stormtech's jackets are built for protection from the elements. Softshells make for a smart, professional look. 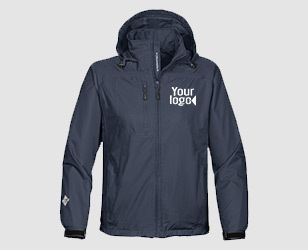 Add your embroidered logo today for maximum brand exposure and a highly durable, long lasting business uniform or event wear. 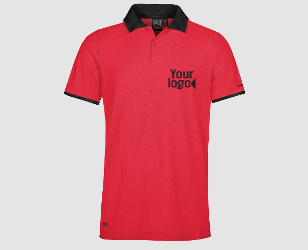 Available in a wide range of colours, Stormtech's range of technical polos are designed to draw moisture away from the body to keep you cool and dry in sporting activites. Since 1977, Stormtech has been developing highly technical outdoor apparel and accessories for men & women, expanding the brand from Canada to the rest of the world and appointing Russell Crowe as their brand ambassador. 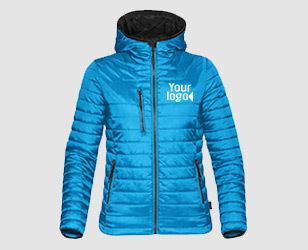 From jackets & softshells to fleeces and bags, their range has been designed with your embroidered or printed logo in mind for a high-end, professional looking uniform. 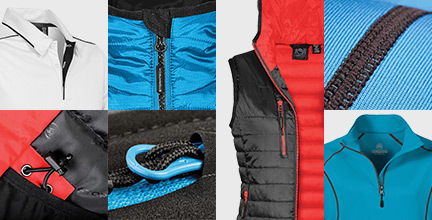 From stowable hoods to shell liners - Stomtech is all about the little details that make its clothing look professional and show the craftsmanship that's gone into creating such high-quality garments. With a wide range of colours both suitable for business and outdoor wear, there's something for everyone to customise today.